Giving credit where credit is due in the workplace is especially important. 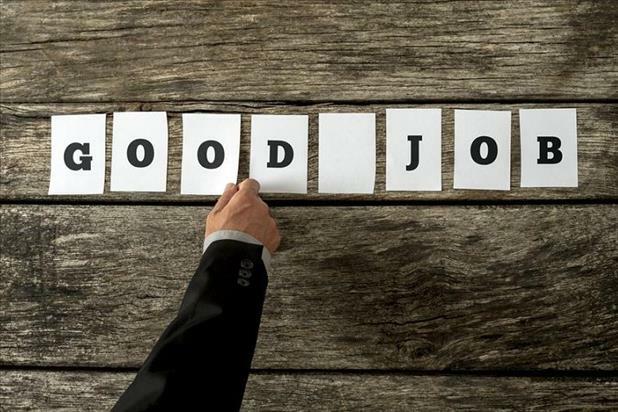 Forbes contributor Josh Bersin completed a research project on employee recognition in 2012, discovering that participating companies scoring in the top 20% for a “recognition-rich culture” had 31% lower voluntary turnover rates. Set up a bulletin board in a highly visible part of your office where employees’ accomplishments can be displayed. Don’t underestimate the power of a personalized, handwritten thank you note. Those who don’t like the spotlight will appreciate this method. Award top performers with a day off of their choice, longer lunch breaks, and/or a shortened Friday schedule, for example. Show gratitude by doing away with the normal dress code and encouraging comfortable attire. You may be surprised to find out how many of your employees are excited to wear flip flops! If applicable to your work environment, let the associate decide what music is played, what food is ordered for the next company lunch, where they work (in the best conference room or outside, for example), etc. If you have assigned parking spaces, give your star team member the best spot in the lot. Set aside a day or specific hours for staff to work on any project they desire. Along the same lines as the item above, let your team member give a project they dislike to you. If an employee has been working long hours at the office or at home, send a thank you note to his or her family members as well for their support.